Newton made emailing mildly enjoyable. Soon it'll be gone. The Newton email service is shutting down September 25, and I'm not happy about it. Like most people, I never used to enjoy dealing with emails. A typical routine involved looking at my inbox, recoiling in horror, and doing the bare minimum to keep up. Then I started using Newton, and everything changed. What used to be a slog became a mildly pleasant activity, thanks to Newton’s clean design and powerful features. Nothing else came close, especially on Windows, which to this day is otherwise a wasteland of dissatisfying email apps. Factor in power-user features like scheduling and read receipts, and Newton’s $50-per-year asking price became justifiable. Sadly, everything will change back when Newton fades away. In a heartfelt blog post, founder and CEO Rohit Nadhani said Newton just couldn’t make the business work, especially when the market for consumer email apps is dominated by Google, Microsoft, and Apple. But if you used Newton you know, as I do, that those dominant players are no substitute. Newton did things they don't do, or can't copy well enough. This article will tell you what we've lost, and why there's currently no suitable replacement. Newton tried several things to keep its business afloat. Under the name CloudMagic, it was originally available for free, and briefly flirted with an optional premium service. When that didn’t work, the company thought it could charge a premium for its desktop apps, launching a Mac version for $20 in early 2016. That plan got scrapped later in the year, as the app relaunched under the Newton name with $50 per year subscription pricing. While the price caused many of Newton’s former customers to walk away, it was the only shot Newton had at being sustainable. Advanced features like read receipts, scheduling, and fast syncing don’t work without storing emails in the cloud, and that costs money. Newton was unwilling to support its service with ads or sell users’ email data to marketers (as some rivals have done) nor did it pivot to enterprise services (like some others). All of which meant that for Newton’s owners—the app was incubated by a database management company called Webyog, which was acquired earlier this year by B2B software holding company Idera—there wasn’t enough profitability and growth to justify its continued existence. 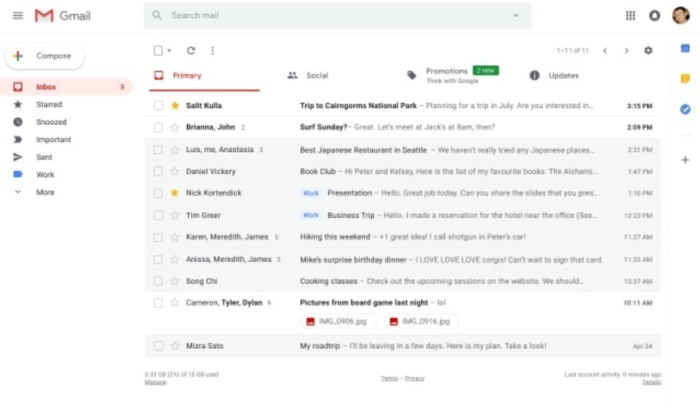 Like other third-party email clients, Newton (originally called CloudMagic) worked with several popular email services, including Gmail and Outlook, and offered additional features such as a snooze function for emails and a focused inbox that hides promotional junk. Newton also stood out with some extra features for power users. For instance, you could track whether someone had opened an email, and get notified when they hadn’t. You could also schedule emails to send at a later date, and unsubscribe from certain mass emails with a single click. Later, Newton added a way to sort all promotional emails in a single folder and delete or unsubscribe to them in bulk. Newton’s read receipts helped distinguish it from consumer-grade email apps. But if we’re being honest, what really hooked me on Newton was its Windows software. Compared to Gmail and to other desktop apps such as Windows Mail and Outlook, Newton was also just much cleaner. There were no persistent sidebars to clutter up the screen and no links to other services you’re not using. When you wanted to delete, archive, or snooze an email, the appropriate buttons would pop up contextually as your mouse hovered over each email, and you could change the order of those buttons to match your workflow. Newton’s clutter-free compose window made your words the star attraction. Returning from this experience to Gmail’s desktop website is a rude awakening. Even after the recent redesign, the site is a mess, with a label sidebar you can’t hide, loads of unwanted buttons to clutter up the screen, and inexplicably long loading times. The ability to open attachments straight from the inbox view is nice, but an eyesore, and you get ads in your inbox when enabling Gmail’s otherwise useful Social and Promotions tabs. Please don’t make me go back to this. Unfortunately, trying to find a suitable alternative to Newton has been a fruitless endeavor. 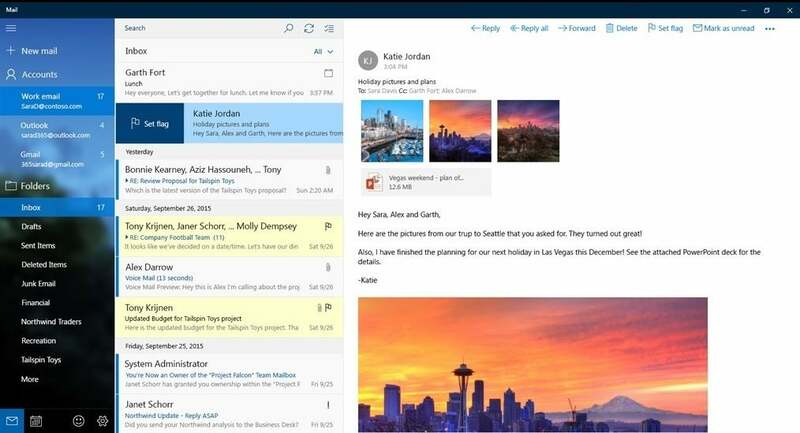 First, I tried using EasyMail, which is essentially the Gmail website tucked into a Windows Store app. This solved the problem of having to open a web browser just for email, but didn’t eliminate any of Google’s clutter. It also introduced its own issues, such as an inability to print attachments loaded through the app, and you have to pay $5 to remove a large banner at from atop the screen. Microsoft’s default Windows Mail app isn’t much better. Messages are slow to sync, and advanced features such as snoozing and read receipts are unavailable. Windows Mail: Lots of clutter, with none of Gmail’s useful new features. 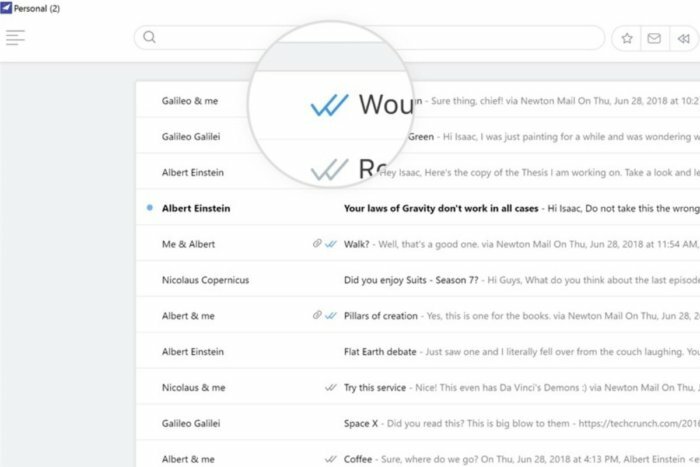 Conventional wisdom holds that email apps are a commodity, yet no one managed to do it quite like Newton. 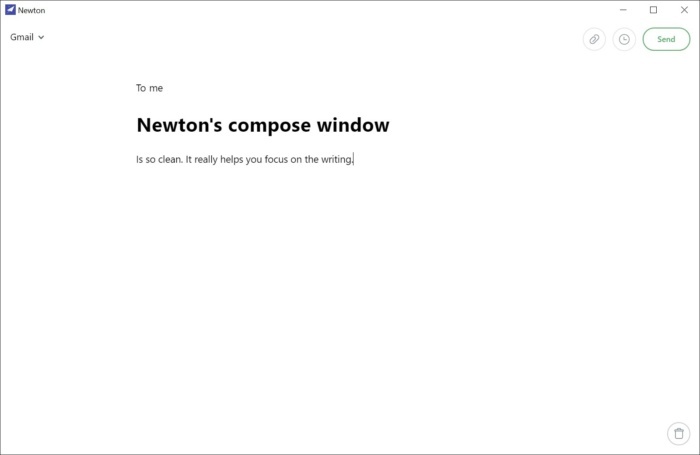 Hopefully, other Windows email apps will scavenge some of Newton’s better ideas in the months and years to come. (Google has already done its fair share of that.) In the meantime, I’ve resolved to ride Newton out until the bitter end, enjoying email while I still can.